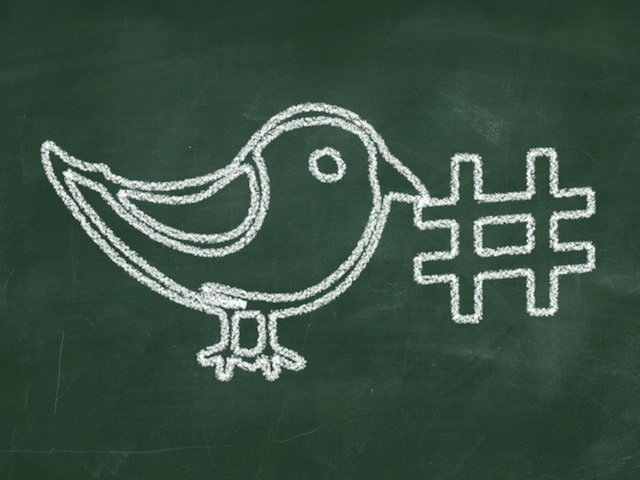 How (and When) Can a Trending Twitter Hashtag Help Your Marketing Efforts? Twitter, as you should know, is not a marketing space. It’s a social space in which marketers insert themselves. Twitter is a constantly changing and evolving social media platform. This is especially true with the trending topics and hashtags which seem to spring up out of nowhere. These trending moments are when individuals truly have a chance to shine as the right tweet, with the right message, can go viral and be retweeted, commented, and favorited in the hundreds in minute. The goal of this article is to give you a look at some of the trending hashtags to come on Twitter over a 24 hour period. This should give you some insight into how you’ll plan on taking advantage of trending hashtags. You’ll be able to jump on board with surprise trends appropriately, and maybe even have some fun with your fans along the way. The first section will be for general topics that a brand could easily slip themselves into and incorporate into their Twitter hashtag use if they’re in the right sort of market space, or if their brand voice permits it. The second will be those controversial hashtags and trends that come by that a brand will need a very light touch, or be absolutely fearless, to get involved in. Twitter, as you should know, is not a marketing space. It’s a social space in which marketers insert themselves. As such, a big part of what happens on Twitter is absolutely and totally disconnected from marketing. Most of the time it’s about fun. Goofing off. Trying to make your followers and strangers alike share a laugh. Perhaps the most popular time for brands to take advantage of trending topics and hashtags is when they know they can plan for it. These evetns come about every year, from New Year’s Eve to the Super Bowl, and brands can prepare their own content in advance for these cultural marketing moments. My big disappointment, besides forcing myself to look at about a million pictures of those 1D boys, was how few brands participated in this event. Sure, it’s not the biggest moment in cultural history, but it wouldn’t hurt to get in on this type of hashtag, with the right content, to gain a few retweets. Tweeting the Super Bowl is so cool right now it’s almost not trendy anymore. You need to get ahead of the curve and start finding other cultural moments that your brand can fit its message into. Being a trailblazer with a unique voice is a key aspect of how you’ll write great tweets on Twitter. Then there are the trends that come about which a Twitter marketer could approach, but only with extreme caution. These will be trends that form around controversial themes, or are about breaking news stories that just can’t be marketed about. The first topic is about religion. I wouldn’t advise your brand to touch a hashtag like that for anything, even though these tweets were getting massive retweet numbers. The backlash on your brand could be fierce. #ThingsJesusNeverSaid "I was kidding about giving everything to the poor! I want you to be rich, get more tax breaks, and mock the poor!" If you think touching this is a good idea for your marketing, you may need a different job. The second hashtag is about childless couples and people’s decisions on whether or not to have children. It is a zero fun topic, and is another example of where your brand could choose not quite right word and face a big backlash. The risk just isn’t worth any sort of reward here in my opinion, and looking at past experiences of similar trending hashtags. The last hashtag was trending at that moment about a specific comment made by Arianna Huffington on unpaid writers. That hashtag changes with the day as it’s used over and over by the Late Night news viewers. You could tweet something in reply to it on the right day, but a discussion on writer’s pay may not be the best time to insert your brand. Unless, of course, it’s because you want to pay us lots and lots of money. We’re all waiting for that tweet. For the three hashtags listed above, and those like them, I would only ever advise your brand to participate if you’re directly linked to them. A religious book store tweeting about #ThingsJesusNeverSaid makes sense. A Planned Parenthood center tweeting about #insightsbs is perfect. An online publisher speaking out about writer pay on #LateLine is could work. For these types of trending topics you need to be an expert in the field, or you need to let them pass you by as you wait for the next appropriate trend. #WhyIStayed was a hashtag about domestic violence against women. The tweet was quickly deleted. Matthew Yeoman is the Devumi.com social media blog writer, and a social media analyst. You’ll find him on the Devumi blog every Friday with the latest developments on getting Twitter followers, YouTube and Vimeo views, SoundCloud plays, Instagram fans, and Pinterest followers.